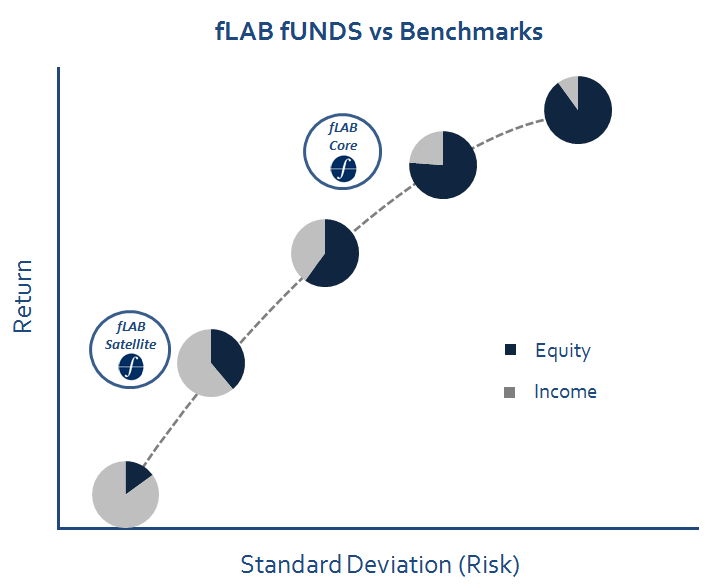 In fLAB, Asset Allocation is the centre of all our decisions. We know that the key element to produce consistent returns is building a Disciplined, Global and Flexible Asset Allocation. The most important debates in Asset Management in the last years have been regarding the existence/lack of Alpha as well as the fight between Active vs. Passive Management. We don’t participate in these endless debates. 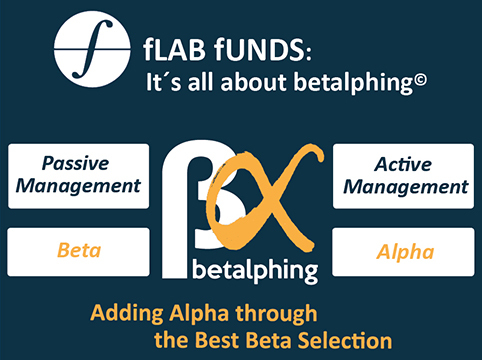 Moreover, we have created Betalphing©: Active Asset Allocation using Passive Investments, or how to find Alpha through the best Beta Selection. We follow closely every advance in asset allocation, and we have worked hard to separate the wheat from the chaff in emerging industry trends; rewarding true innovations and discarding mere marketing claims.